Ride your own Segway PT through historic Stone Mountain Park. Surrounded by beautiful lakes, lush treescapes, and the largest exposed granite carving in the United States, this tour takes you on a 5-mile journey around the base of Stone Mountain. The tour is lead by local guides who will share interesting history and fun facts along the way. Riders must be 12 years of age to participate. tour group is limited to 6 guests per tour. 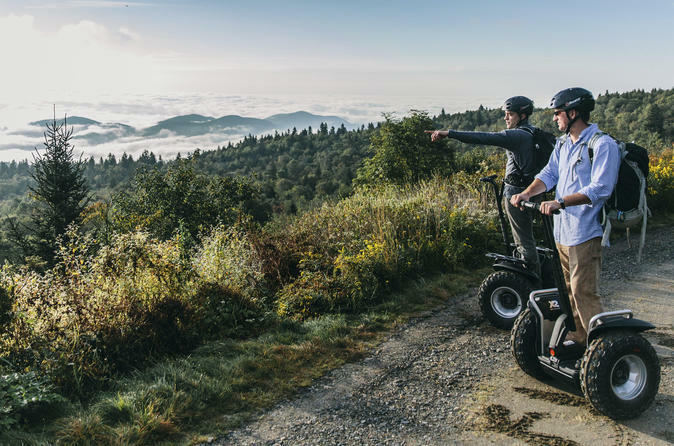 Our Segway tours are perfect for locals and visitors whom live in the area or are visiting the park on vacation. All tours are guided and include opportunities to take photos as well as a water break. Training and Helmets are provided at no additional charge.